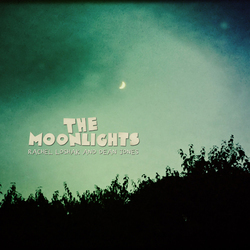 The Moonlights is an inspired collaboration between songwriters Rachel Loshak and Dean Jones. It all began in the winter of 2016 with just the flash of an idea taken up together in joyful spirit – and now, with their distinctive yet complimentary styles of music, the duo has created a stirring and deeply satisfying collection of beautiful, quirky songs for all ages. The sophisticated and spare musical arrangements shine, beginning with the hypnotic opener That Light, the beautiful and rich harmony in Colour of Leaves, the haunting French horn pillows on the pastoral waltz Ah, The Moon and Jones’ homage to William Shakespeare, Peaseblossom. Rachel and Dean are joined by many special guests, including Justin Lansing and Joe Mailander of The Okee Dokee Brothers. Whimsical, evocative lyrics convey the wonder and appreciation of our natural world, often with a little humor. The music is a sonic painting with many instruments/colors, including guitars, marimba, English horn, recorders, organ pipes, strings, mbira, trombone, French horn and bass. Layers of beautiful voicings bring close the messages of each of the songs.